This was an absolutely fascinating book. I have bought 4 print copies to give to friends, and to have in my own personal library. Temple points out the obvious, and the not so obvious. 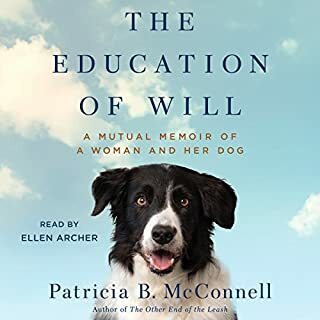 She brings to light some fascinating discoveries about wolves and how they relate to our beloved dogs, as well as pointing out how we can make our canine family members more comfortable. I have learned things I about the agricultural industry that everyone should know - though few of us do, and many of the points she brings up can make you think twice about how you react to all the animals and people around you. As a vegan, I thought the idea of her "squeeze box" for slaughter animals was disgusting. But then I realized that she is a realist in that not everyone feels the way I do about eating animals. She feels that if humans are going to raise animals for food, then the animals' basic needs should be met. 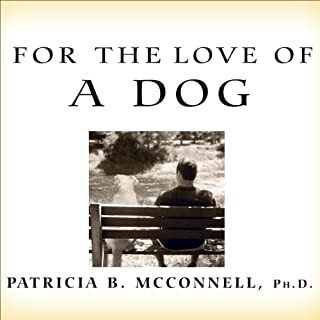 She provides the reader with great advice on husbandry and interactions with dogs, cats, pigs, cows, poultry, horses, even wildlife and zoo creatures. 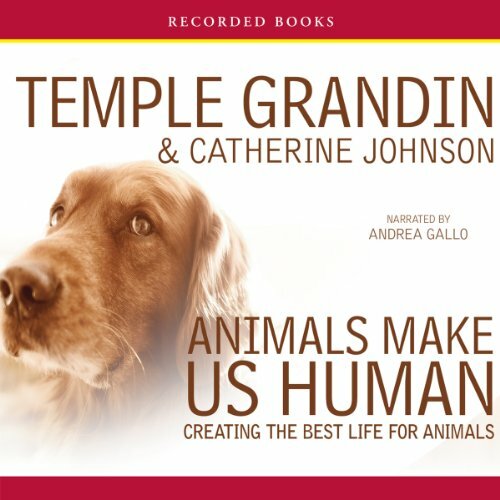 Temple Grandin is autistic, and it has given her insights about how animals percieve the world. It's quite interesting, knowing her own challenges have given her a unique view. As others have said, this is not a sentimental homage to animals, it is practical and well described. She is clear when she is stating her opinion, the findings of her research and the research of others. It results in a unique blend of common speech and collegiate dissertation that is sometimes repetitive. I think her first book, Animals in Translation, was better, but it's still a good read for anyone with an interest in trying to understand more about animals. as I thought I would be, having read Grandin's early work. A good deal of this is just common sense, and at times so obvious that she seems to be writing for children. After having developed a taste for much more involved neurological writing (Sacks, Pinker, Ramachandran), Grandin's sweeping references to brain areas leave me filling in the blanks for her ("amygdala," it's called "the amygdala"). I was just left wanting more from this work. That being said, as someone who is around horses every day, working with my own horse every morning at a boarding farm and seeing other people with their horses, I have to say that it seems to me that a good many people don't have the first notion about four-legged beings, their needs, emotions or welfare. The greater part of them whip their horses into a frenzy ("lunging") so as to exhaust the horse enough to get on (that is, if they can ever catch the poor beast), put him through a once a week, once a fortnight, or even once a month routine of sudden stress, only to put him back, with no reward or word of praise until they abruptly get the desire to ride again, never bothering to build a relationship. (I call these the "lawnmower people," those who treat their horses like machines of pleasure, to be used as they wish and then put it back in the "garage" until the machine is needed again.) Then there are the perhaps even worse "show people," more concerned with blue ribbons than horses--the horses, or rather, their physical torments tell the tale immediately: coats in the deadly heat of summer ("so they don't get dirty") and the braided tails disabled from their normal use in swatting flies... In short, even though what Grandin writes here is "mostly common sense," I see unlimited stupidity everywhere in the horse world, and I can barely keep from laughing out loud when someone asks, "why does your horse come right to you? how can you lead your horse around at liberty (without a rope)? how can you ride your horse bridleless like that? why doesn't your horse spook?..." and so on. They want the magic button to push: there is no magic button...their is only daily work and care and recognition of a four-legged's emotions and feelings, rewarding and praising and treating the horse...well, like you would treat a person...that you actually loved. Alas, even as simple as Grandin keeps it here, I doubt the lawnmower people would get it. Temple Grandin is a national treasure. I have this fantasy that President Obama will invite her to the White House and give her some big award for helping all of us to understand animals. He will then direct his Secretary of Agriculture Tom Vilsak to follow Grandin's guidelines for the ethical treatment of farm animals. 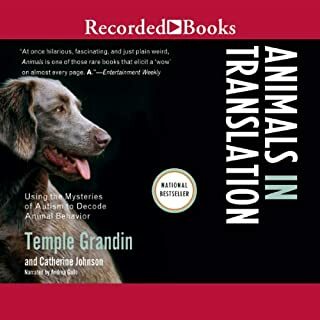 President Obama will talk about how Grandin is an inspiration on how we can all play to our strengths, as Grandin has turned her autism into an asset in understanding animals. Grandin's thesis is that animals are primarily driven by their (our emotions). Proper care of animals means attending to their emotional needs. Understanding how animals perceive the world can help us set up environments where they feel safe, and where their seeking and companion needs are met. Of course I loved the chapter about dogs - and I've been very nice to my dog after Grandin got in my head. Where I was surprised was how much I enjoyed the chapters on cows, pigs, and chickens. It is good to have some idea how our industrial food system works. An excellent complement to Pollan's writing. A truly original work. 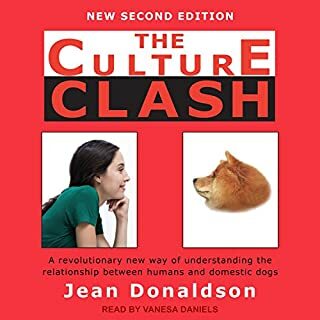 This is a delightful insight into the world of animals, how they behave and why, and how we can come to understand them better. At the same time, it is a candid view of ourselves and how WE view these same animals. Some of what she describes may be hard to hear for some people, but stick with it. It is well worth hearing the animal industry facts-of-life to disclose how we can lessen some of our own pain and do what is right and best for both man and beast. 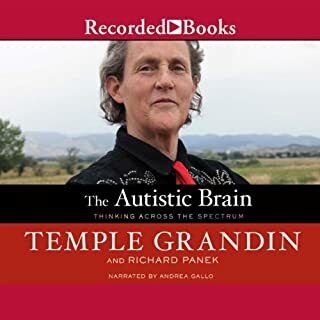 It does require an open mind, for Temple Grandin has a mind that is wide open, and she is quite frank about many things. 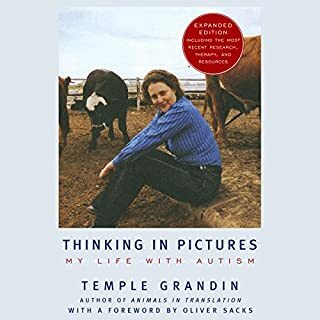 For those who do not know Dr. Grandin, she is Autistic ... yes, AUTISTIC. Her accomplishments in the fields of animal behavior, psychology and the animal industry are clearly the best way to expose some of our prejudices about autism and other related "handicaps". She clearly is not handicapped, as she has been able to translate the animal point of view in a way that will help us understand why animals behave as they do. It is a MUST read for anyone interested in farming or ranching, any field involving animals, families, friends or teachers who do or may experience autism in their lives, and anyone who has said "I don't think the way you do...". This is one of several books she has written about animals and her insights based on her autistic talents as a VISUAL THINKER. I recommend this or another, Animals in Translation, as MUST READS for everyone. It will open your eyes to worlds you may not even have known exists. For the families of autistic members, it will give hope and insight into an otherwise mysterious place. For animal activists, animal lovers, animal handlers and industry workers, it will present a point of view that could change your lives. I've always had a bunch of dogs and have even raised 50 fancy laying hens and a few turkeys. I know quite a bit about animals, but I learned a lot from this book. Of course, I know my dogs would be happier if they weren't fenced in my yard that is about an acre, but they wouldn't last long on this road. I'd probably get sued by the bikers, too. One of the most interesting things I learned is that MacDonalds and Wendys have brought about positive changes in the way cattle and chickens are processed. If you enjoy living with animals and care about how animals are treated, I highly recommend this book. Not exactly what I expected, filled with statistics which aren't too interesting. I learned a lot of facts about animal behavior and psyche, but I inevitably found that the writing style, which is perfunctory and clinical and rather junior-high-ish, got in the way of my enjoyment. I didn't finish the book, but made it about 2/3 of the way through, and still never quite understood the title. In fact, I found myself going home to my three cats and thinking of them more like living machines for awhile, which is why I didn't finish the book. Maybe it's just not my thing. However, the narration was quite good, and probably was the reason I made it so far through.